Google Plus Marketing. 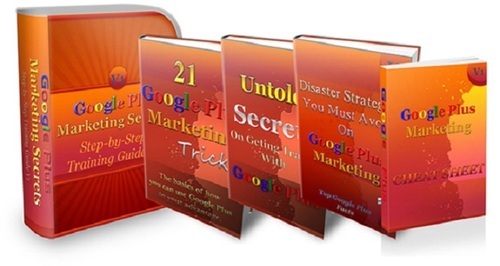 How to Attract Massive Traffic to Your Online or Offline Business With The Latest Techniques on Gogle Plus Marketing in As Little As 40 Minutes. This new course will provide you with a step-by-step guidance from a keyword research, create your Plus account, create circles, communities, local market pages, get followers, use events, utilize hangout, and all the way to drive massive traffic to your website. Best of all, each step will be shown in a screenshot. This will give you an easy way to COPY-N-PASTE every technique we show it in a matter of seconds. It is that powerful.